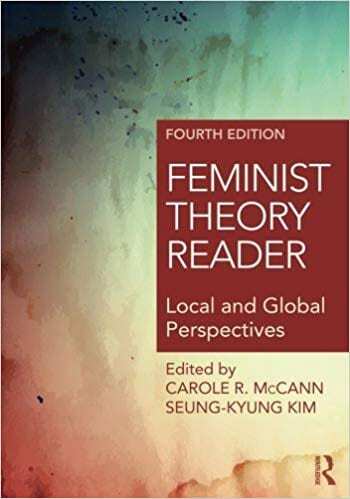 About your course: In this course, we will examine the canonical and contemporary critical theories shaping feminist thought from the early 20th century onward. Students will utilize an intersectional and (when applicable/possible) transnational perspective to discuss a variety of topics including: difference, embodiment, identity formation, knowledge production, oppression, power, privilege, representation, social justice activism, and solidarity. Our class meets on Tuesdays and Fridays from 9:30-10:45AM; the location is Humanities 214. Because this is a 4 credit course, there will always be at least 1.5 hours of “hybrid” time that we will use in various ways outside of our face-to-face seminar time. About your professor: Dr. Jessica N. Pabón is an Assistant Professor of Women’s, Gender, and Sexuality Studies, an affiliate of Latin American & Caribbean Studies, a queer boricua feminist, and a mamí. Her first book, Graffiti Grrlz: Performing Feminism in the Hip Hop Diaspora came out in June 2018! I look forward to seeing you in office hours on Tuesdays 3:00-4:00PM, Wednesday 3:30-4:30PM, and Thursdays 3:00-4:00PM at Southside House, but you should make an appointment by visiting this online calendar. If you check my schedule and can not see an office hour time slot, please email me to request an appointment. We have one required book for this course. It is available at the bookstore and as an ebook through the library. Please note that up to 3 people can be online reading it at the same time, and if a 4th tries to access the book you will get a message to try later. Once one of the readers clicks off the book, or closes the browser, the other can get in. Additional readings are provided as PDFs and posted here; you will receive the password in class. We will be using Twitter! We will begin each class by tweeting one of our favorite quotes or a question we have from the reading assigned for the day. When you get to class, sit down and launch Twitter on your device. Compose a new tweet using our course hashtag #FemThry18. We will end each class by tweeting something we’ve learned that day. Please note: if you want to protect your privacy on social media, please open a (new) Twitter account with an alter-ego. Also, the library has iPads for check out if you need a mobile device (to tweet, listen to podcasts, etc). We will use this Hawksite course blogpage–this is the syllabus. Students are responsible for frequently checking the page. We will also use free software for creating podcasts (more information on this in class).